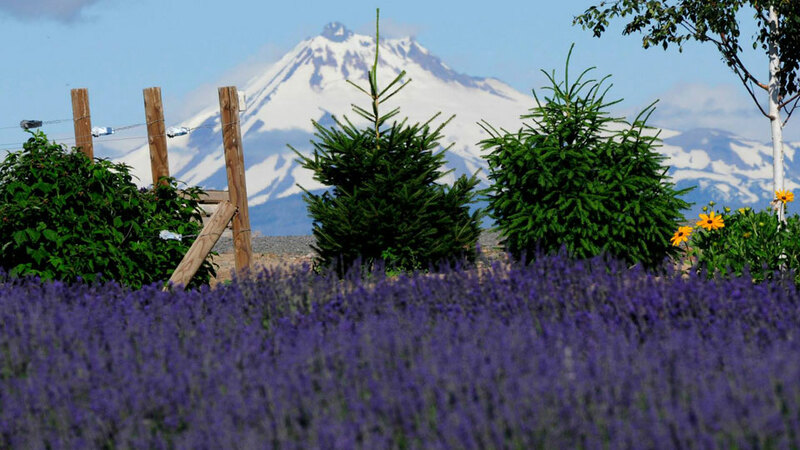 Located about 40 miles north of Bend, Cascade Lavender has approximately 4000 lavender plants and over 100 different varieties. The family-friendly place with display gardens, plant nursery, U-pick, oil distillation, farm animals and gift shop. The farm and spacious grounds with incredible views of the Cascades provide space for lunches under shaded picnic tables, private events, and photographic opportunities. Open seasonally to the public with free admission, they also offer group packages which include guided tours and either an English Tea or lavender lunch. U-pick is best late June through early August. The plant nursery is open Memorial Day Weekend – Mid August; the farm is open late June – Mid August. In addition, the Cascade Lavender Shop distills and markets the oil which is organically grown and distilled here in Central Oregon. They also sell hydrosol, dried lavender, and buds along with other aromatherapy products at the farm. A large variety of lavender plants are available for purchase in the summer, too.